The accommodation is all on the ground floor. 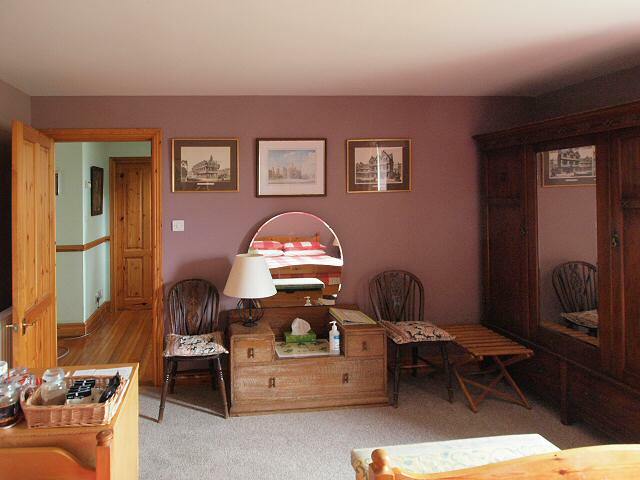 The spacious bedroom has a king size (five foot wide) bed, and a single bed. It can therefore serve as a double, twin, or family (triple) room. There is plenty of room for a travel cot, which we can provide if required. 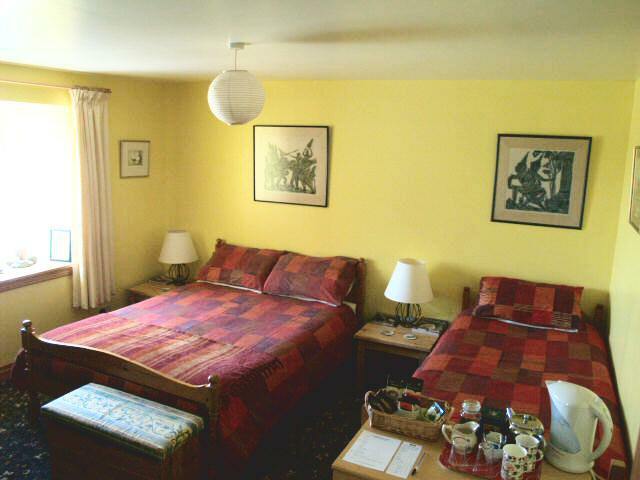 Ideal accommodation for one or two people or small families. There is plenty of drawer space, and a hanging wardrobe. Tea and coffee making facilities are provided. The private shower room is a few steps down the hall. Your peace and quiet is guaranteed. 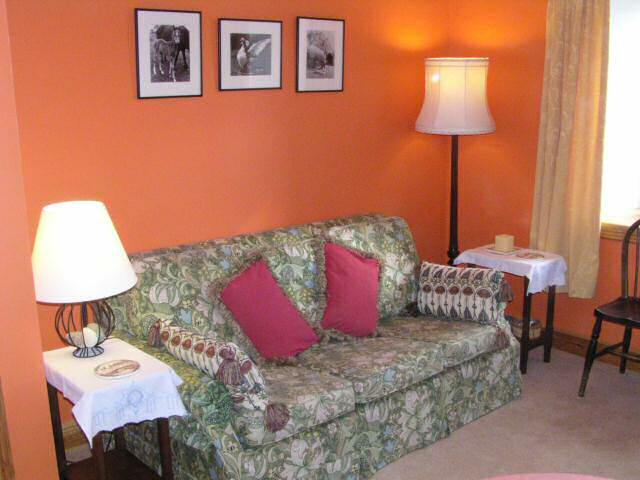 The sitting room is just across the hall from the bedroom, and is exclusively for your use. There is a television (Sky FreeSat) with DVD player, and a small selection of DVDs. Feature film DVDs can be hired from the Ferry Shop in Fionnphort. We have provided a selection of books and games for both adults and children, including a number of books about Mull. We serve your breakfast in our farmhouse style kitchen/dining-room. If you are a vegetarian, or have other dietary preferences, we are happy to cater for your needs.